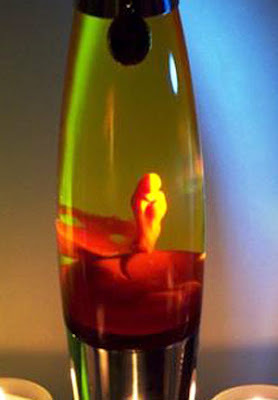 13 Above: The Holy Figure Appears In A Lava Lamp - Miracle !! The Holy Figure Appears In A Lava Lamp - Miracle !! 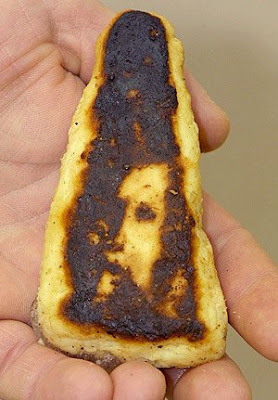 Holy lamp ... a Sydney man says a "miracle" made an image of the Virgin Mary cradling baby Jesus appear in his lava lamp.He has since set up a shrine to the lamp. 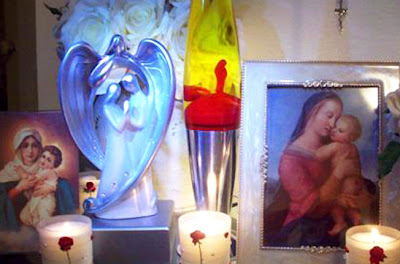 The man who identified himself only as John Smith of Sydney has set up a shrine to the lava lamp in his home and also the holymarylamp.com website. “This is a true, tangible miracle that is not just an optical illusion. 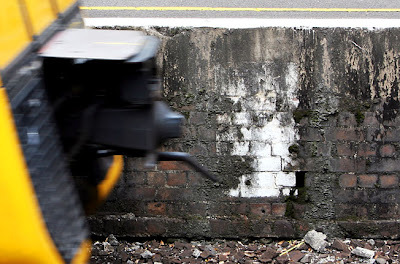 It is visible in all directions and permanently frozen in this shape,” he told news.com.au. Mr Smith waxes lyrical about the lamp and its effects on the website, which only had 251 visitors yesterday, and says it has helped him with job offers, money and even in finding a partner. 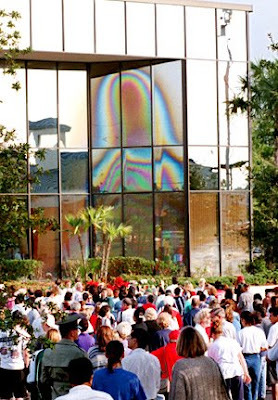 “I had been going through a tough time and was paying for a sign … a divine sign from God that I was not alone and that all would work out fine,” he explains on the website. A closer look ... the man says he had prayed for his life to turn around and with the appearance of Mary and Jesus in his lamp it had. 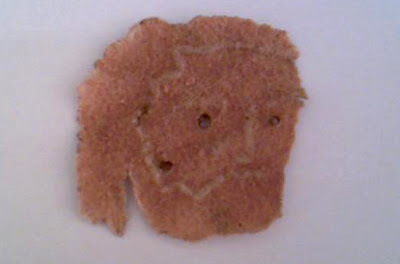 A little fishy ... Canadian Fred Whan cooked a cooked a fish fillet that he claims showed the likeness of Jesus Christ in Noveber 2004. 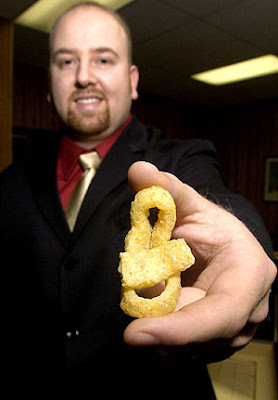 Manna from heaven ... law clerk John Mize holds a pair of Funyuns in that he found under the seat of his car. He claims the Funyuns resemble the Virgin Mary holding the baby Jesus. 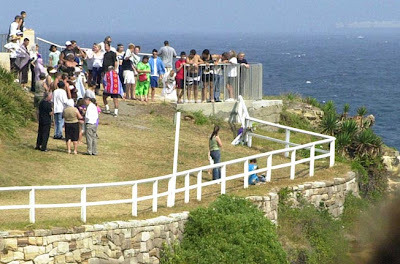 Paling comparison ... large crowds gathered at the southern end of Coogee Beach in Sydney in 2003 to catch glimpse of a Virgin Mary apparition made by the fence and its shadow. 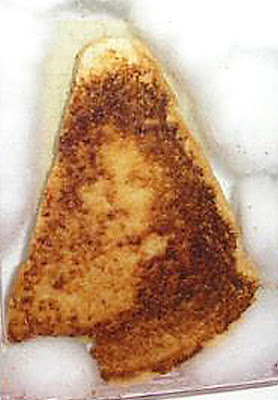 The big cheese ... a grilled cheese sandwich that may show a holy image..
Motorway mircale ... a woman touches a section of Kennedy Expressway Underpass in Chicago where a yellow and white stain left what many people believed to be an image of the Virgin Mary in April 2005. 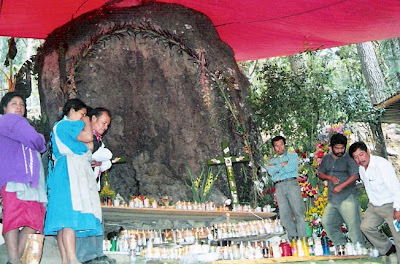 Jesus rocks ... people stand next to a large rock that believers claim bears the image of Jesus Christ in the community of Santa Anita Huitepec near San Cristobal de las Casas, Mexico on May 7, 2006. Gregorio Gomez, a 57-year-old Tzotzil Indian, said a voice told him in a dream that he would find an image of Christ on a rock . 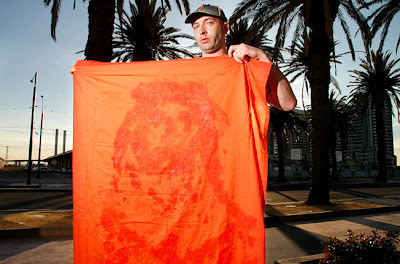 Holy sheet ... Stuart Hadwin and a bed sheet with an image of Jesus that appeared on it after he placed it in a Salvation Army bin in Melbourne. 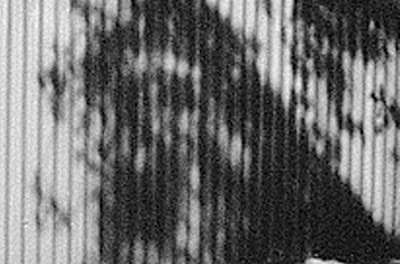 Shadowy figure ... the hadow of tree on fence of Port Germein Progress Association Caravan Park apparition drew plenty of people to South Australian town to see if it really did look like Jesus Christ wearing crown of thorns. 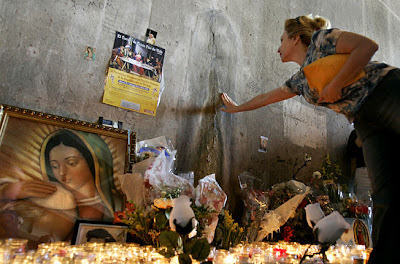 Station of the cross ... commuters believed there was an image of Jesus Christ appearing on a platform wall at Waverton train station in Sydney. 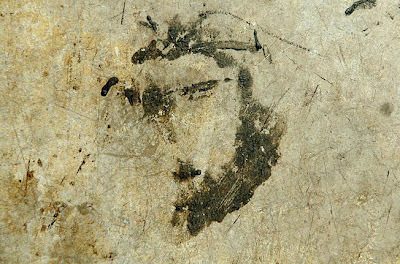 Smudge ... driveway sealant resembling Jesus Christ's face on the garage floor of Deb Serio's home in Virginia fetched more than $US1500 ($2270) for the family that found the holy image on its garage floor. 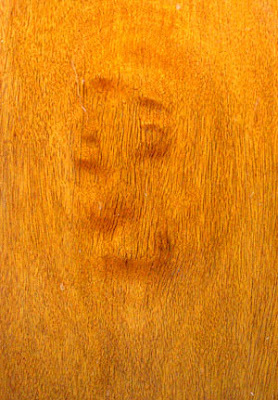 Knock and the door will be opened ... the image on a laundry door in Geelong which the owner claimed is the face of Jesus.